What Avon say’s about this product: Reveal your rich nails with Nail wear pro plus in crème, shimmer and sequin shades. The gorgeous colors last long and makes nails stronger. Try crème shades while you dress up for work while crème and shimmer finish would go with your party attires. Acrylic strength technology increases nail strength by 80%. Contains DURA PLUS complex that protects nail color from chipping. Contains diamond dust and color stays true for long. Availability: Not Easy. Only available via Avon sellers. 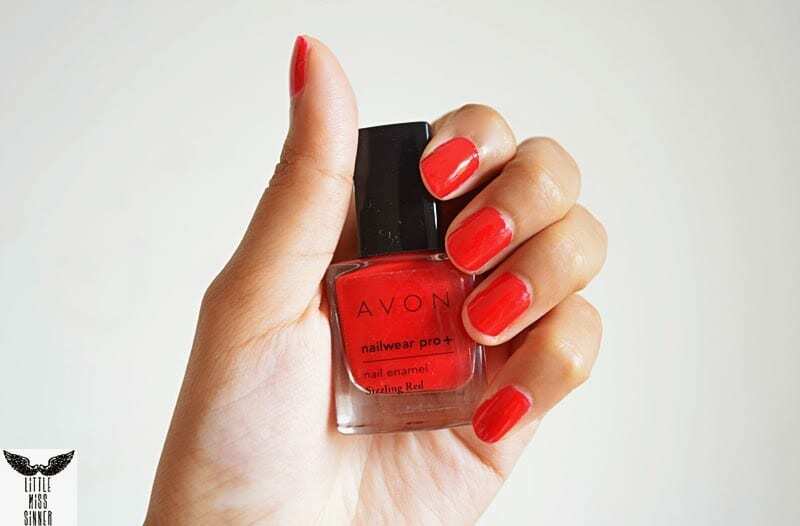 My thoughts: It’s been three weeks since I have been wearing this Avon Sizzling Red Nail paint. It is surprising as I have never worn the same shade for more than two weeks in a row. 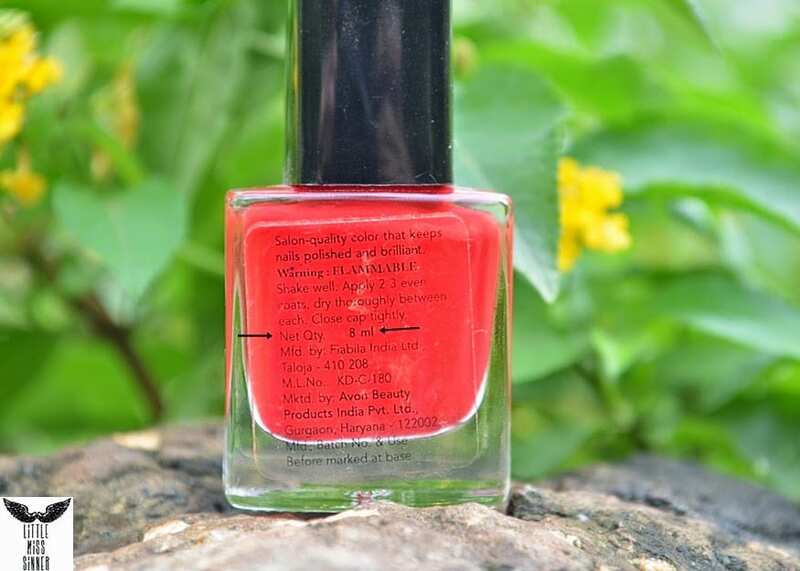 Maybe I gravitated towards it because of the formula of this Nail Polish, it is one of the best that I have ever tried. I don’t know about others, but this particular shade is very opaque, one coat is all it takes to be done. Though I still prefer to do two coats. The formula is quick drying I would say each coat take’s less than 2-3 minutes to dry, which is pretty good. The above image is not doing justice to the color. This nail paint has a very vibrant cherry red shade. 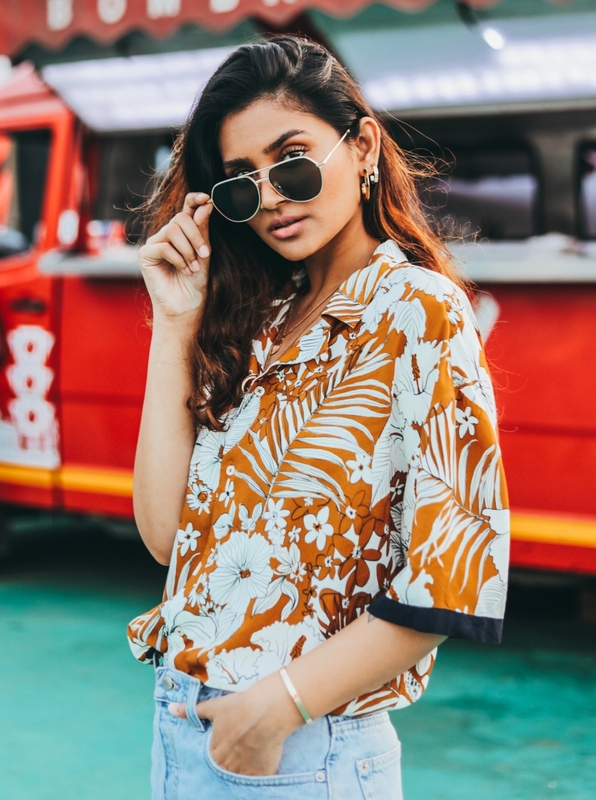 Very retro. It lasts for a good 5-6 days before chipping. I am very happy with this Nail paint as its very reasonably priced for the quality that it offers. The only downside is the availability, wish it was easily available in the market. I definitely suggest you to try this out especially this particular shade if you are into reds. 5-6 days without chipping! Got to check this out.